There is no right ‘type’ of pastor’s wife, only the one whose heart is wholly set on serving Christ. In this book you will find the beauty of various personalities, character types, and giftedness that interweaves the pages of these letters. We are not called to fit into a certain mold but to be helpmeets to our husbands, helpmeets who enable them to serve God more effectively with us at their side than they ever could alone. Pastors’ wives encounter special challenges as well as special joys. 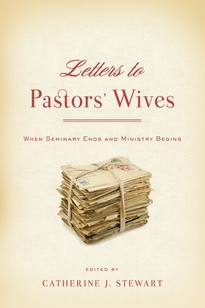 These letters from the seasoned wives of seasoned pastors provide empathy, wise counsel, and encouragement on a wide range of topics.